Mobile gaming is fun, but there are limitations. While some video games are specifically designed to be played on a smartphone or tablet, most are not. This leaves gamers with the frustrating problem of trying to play a game that doesn't function very well with touchscreens. Gamevice solves this problem by turning your smartphone into a console device. 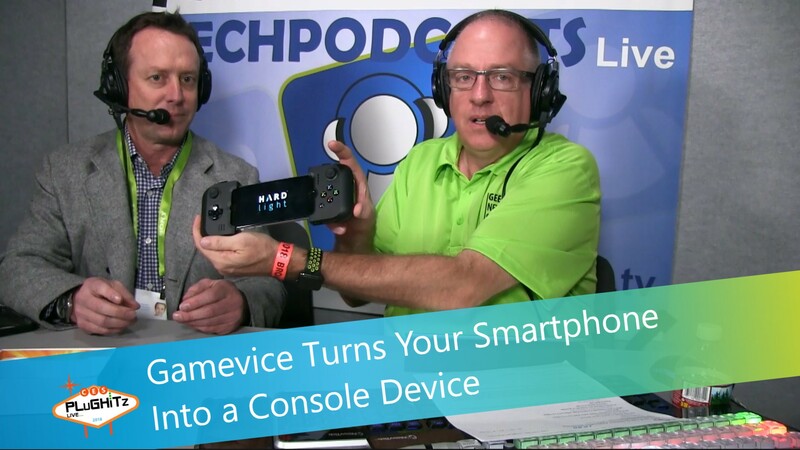 Todd spoke with Rob from Gamevice at CES 2018. Gamevice is the name of the both the company and the product. Gamevice is a controller that hooks onto the lightning port on your smartphone. It gives immediate feedback on any game you are playing. It turns games that are really poor on a touchscreen into games that actually have a chance to be played on a mobile device. Gamevice lets you easily play Minecraft, Grand Theft Auto, MOBA's like Lineage, Street Fighter, and more video games on a mobile device. They have about 1,000 games in their catalog. Gamevice can be tightened up in the back. It fits anything for a iPhone 6 to an iPhone X, is compatible with Android phones, and can be used on iPads and iPad minis. You can purchase Gamevice for $79.99.